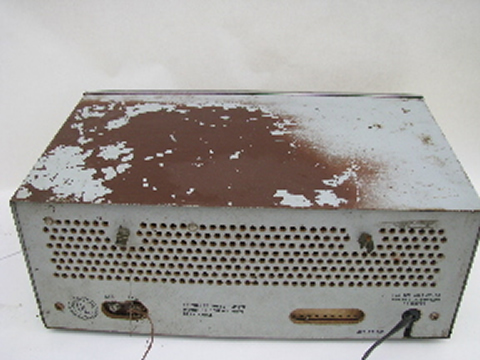 Vintage Hallicrafters model S-120, 4 band vacuum tube short wave radio for repair or parts. 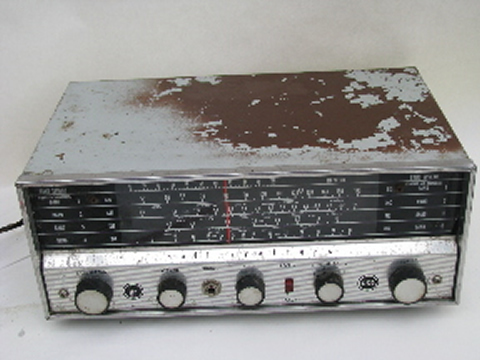 This vintage shortwave radio is made to pick up AM radio shortwave. It�is marked on the face with locations such as Iceland, USSR, China, India, Brazil, Egypt, Cuba etc. It is also marked for Aviation, Government and more. This power up and we can hear static through the speakers. We weren&apos;t able to pick up any stations, but we live in a hilly and rural area and normally have trouble receiving broadcast radio here. We also didn&apos;t have a antenna attached. 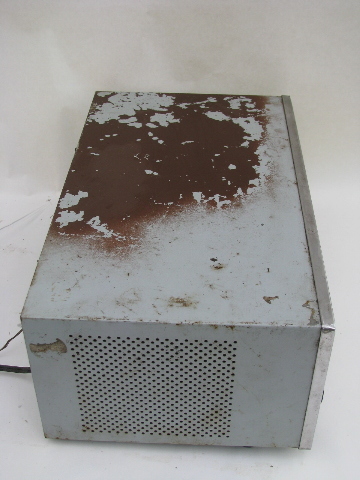 This has wear and paint to the case. There is a triangular chip (about 1/4" wide and 5/8" high) missing from the bottom right corner of the face. 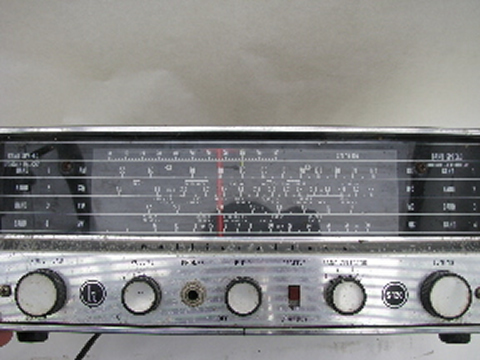 We&apos;re selling this radio for restoration or parts.